1. You’re more than just a chart to us. 2. You’re going to feel better all around! 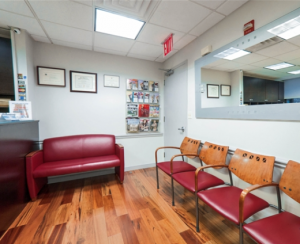 About Balanced Health Medical, Your Midtown New York Chiropractors Balanced Health Medical has comprehensive chiropractic, physical therapy, and rehabilitative services. They treat neck pain, whiplash, lower back pain, headaches, TMJ, shoulder pain, mid back pain, elbow pain, wrist and hand pain, hip, knee, foot, and ankle pain. Their services include chiropractic care, sports medicine, physical therapy, massage therapy, acupuncture, spinal decompression therapy, and medical massage. Each patient is designed a customized program to treat their specific condition. There are two doctors with over 20 years of experience working with patients. Dr. Sidney Inkelis, M.D. and Dr. John Calabria, D.C., a chiropractor. Both are highly trained doctors that want to help you live a pain-free and healthy life. Each is well respected in their field. All staff members are certified, trained and work experience. Dr. Sydney Inkelis, M.D. is a primary care physician and specializes in internal medicine. He is trained to treat a wide range of illnesses in both men and women. He attended UAG School of Medicine located in Texas and Mexico. There he received his medical degree there. He performed his residency in internal medicine at Stonybrook Hospital located in Northport, NY from 1978 to 1981. Dr. Inkeis also performed a residency at the VA Medical Center. 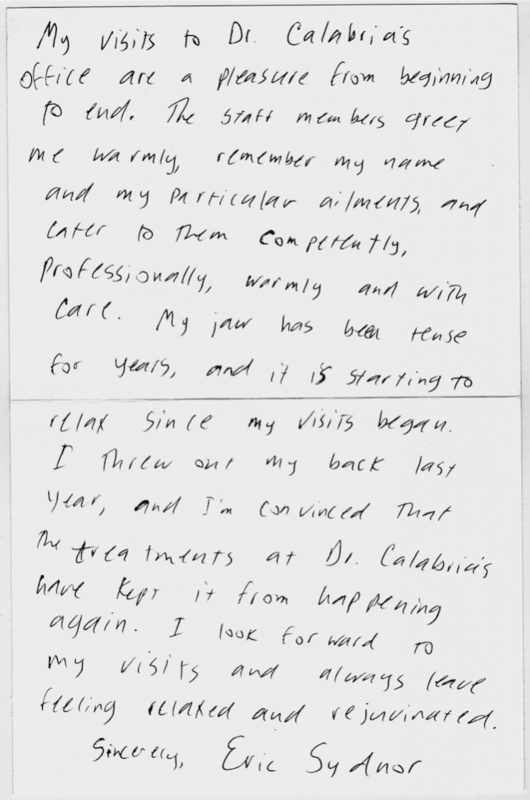 He is licensed by the state of New York and has been in private practice since 1982. Dr. John Calabria, D.C. received his Doctorate of Chiropractic from Life University located in Marietta Georgia in 1996. Students at this college get hands-on training by working at medical clinics on campus and off. Since 1998 he has been in private practice in New York. He is trained to offer the patients at Balanced Health Medical Center services in chiropractic care for injuries, and pain, acupuncture, physical therapy, medical massage and sports therapy. After you have made an appointment and been tested and diagnosed the doctors will treat you often with more than one type of therapy. A combination of different therapies is used to promote healing more quickly. For example, for neck pain, the doctors may prescribe chiropractic care, acupuncture, massage and physical therapy. With all these specialized treatments your chances of healing faster is greatly increased. 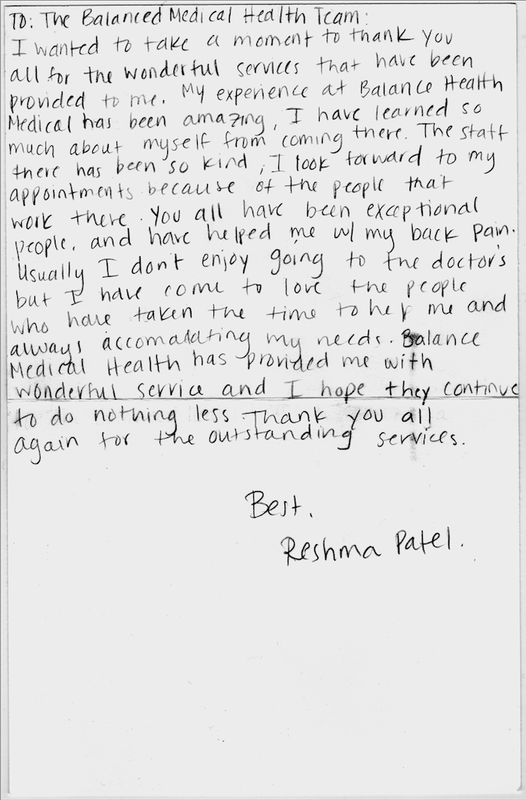 The friendly staff here is very flexible in making changes to appointments when needed. 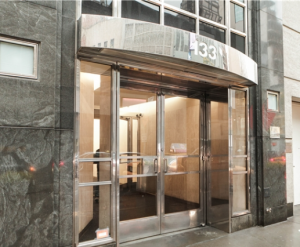 They service the Rockefeller, Midtown, Upper East Side, and NYC area. The following zip codes are in their service area 10022, 10020, 10036, 10017, and 10019. The staff is friendly and professional and the office clean and comfortable. Personal trainers on the staff are certified by ACE, Bell Kettle, and NASM. Call for an appointment with the doctor today at Balanced Health Medical for treatment of auto and sports injuries, pain management, and other conditions. Don't suffer with unnecessary pain. Call (212)-755-1717 today. I’ve always been a slave to my back problems. From way in the days when I swam for my school my lumbar Spine proved nothing but troubling. I was plagued by everything from spasms to inflammation. Waking up was a process–a crushing, deflating process. That is until I fell upon Balanced Health Medical. Even upon my first visit I felt relief. The stress dissipated and the comfort subsumed me wholly with each following session. I could not be happier with the care and gentility afforded to me by the physicians at Balanced Health Medical. Affable staff and soothing personalities only serve to add to the coziness and abandon. I was recommended to this office through a co-worker after a hand injury. 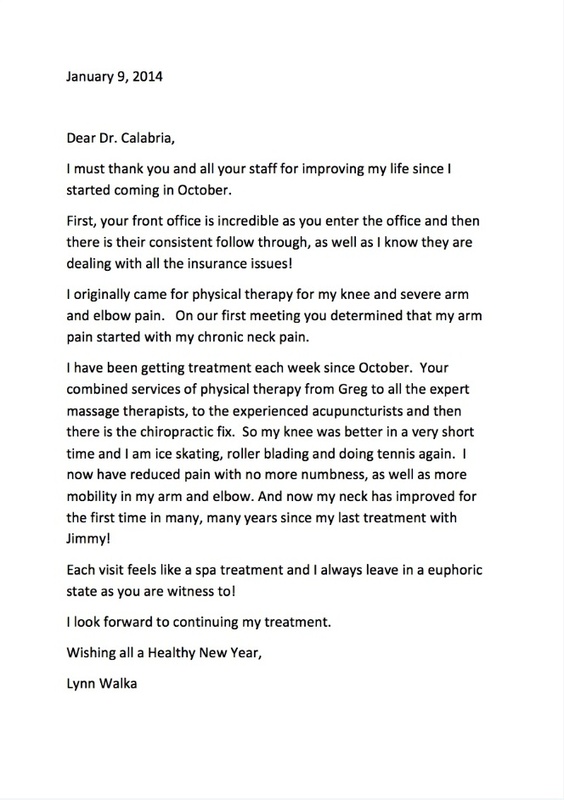 I went twice a week for 3 weeks and was definitely impressed with the improvements not only in my hand but the adjustments really helped my back and shoulder. the office is clean and the staff is very friendly and accommodating. I recommend Balanced Health Medical-Chiropractor to anyone seeking a stressful free environment in today’s society. i have been a patient for almost 5 years now ,they are very profesionnal on their service ,i always looking forward for the my next appointment , i had recommended several people from my company and they are all happy as well. WENT IN FOR TREATMENT AND HAD A WARM RECEPTION FOLLOWED BY THE BEST MASSAGE. ERIN TOTALLY RELAXED ME AND I FELT GREAT WHEN SHE FINISHED. I WOULD GO BACK EVERYDAY IF I COULD. As soon as I walked in the front desk staff was friendly and courteous. The treatment consisting of chiropractic adjustment, massage and physical therapy was exceptional. I have never received this complete treatment at any other office. I will definitely continue going to there and I highly recommend it. I had been suffering of extreme neck and back pain due to a car accident. The treatment the first time worked wonders. 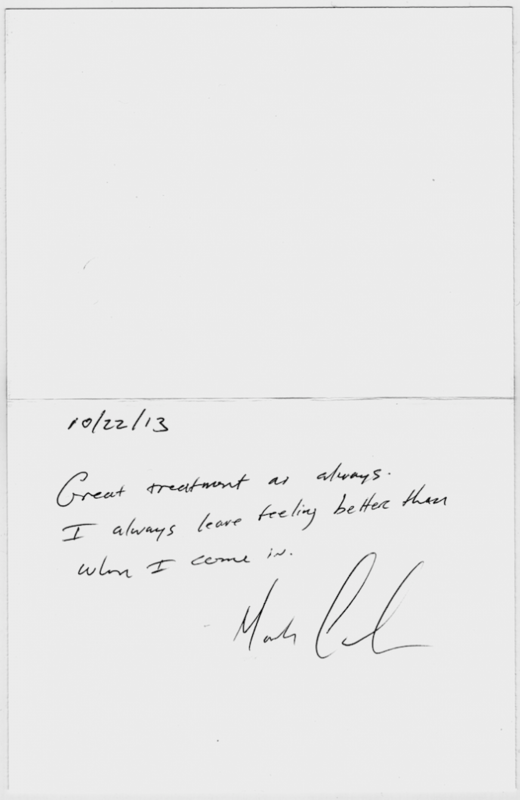 The Physical therapy and massage helped me a great deal. I would def recommend it, they are very helpful.